If you have followed my projects, you might see that I love gift-giving. And I love to make fun, custom gift packaging. 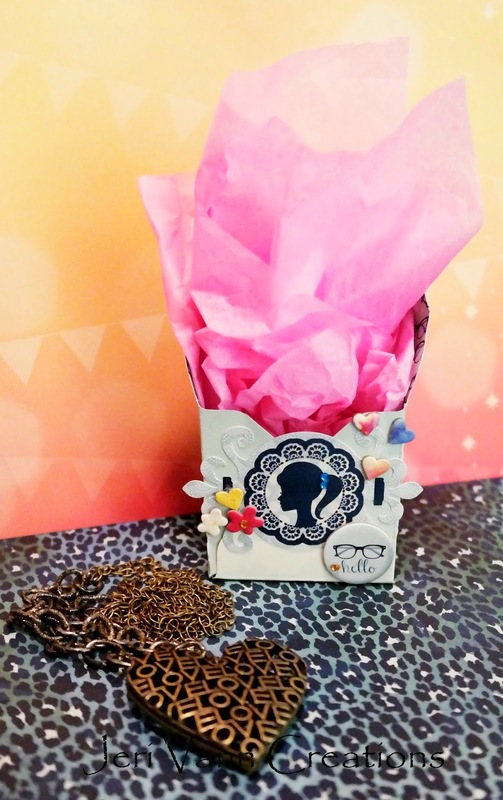 This adorable Modern Miss I Want It All Bundle by Bo Bunny was just perfect for a cute girly gift box. I used the Gift Box Punch by We R Memory Keepers to make the box. However, doing things a little different, I turned the box on its side and tore off one of the flaps. So it had a sort of, back to the box and I was able to leave it open and puff the tissue paper up. I decorated the front with a silhouette sticker, jewels and some chipboard stickers.